The newly announced Boulder 2108 phono preamplifier is a dual-chassis design that features the company's proprietary 995 gain stage. 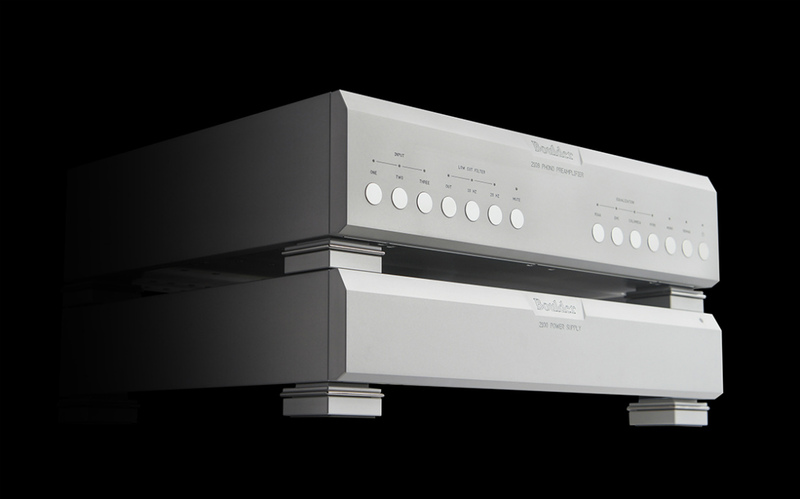 The Boulder 2108 phono preamplifier carries a price of $52,000. Starting 2019 on a strong note, the high-performance, luxury audio brand Boulder has launched its second-generation 2108 phono preamplifier. The 2108 is the latest addition to the company's 2100 product line, and the new phono preamp is its "reference level phono preamplifier." The Colo.-based audio manufacturer says the 2108 phono preamplifier incorporates several "substantial" technological improvements over its previous generation product, including the use of better ground paths and planes, a revised circuit topology, and a lower noise floor. Other improvements include the increased use of surface-mount PCB technologies manufactured on the company's own SMD machines, resulting in improvements in noise radiation, propagation delay, parasitic capacitance, and it eliminates lead inductance in select circuits. The analog components offer the RIAA standard equalization (EQ) curve, and three selectable EQ curves via the unit's front-panel buttons: FFRR, Columbia, and EMI. Boulder says the three additional EQ curves provide users the ability to accurately playback records made before 1954. Helping the phono preamp to minimize noise and hum, the 2108 employs a two-piece chassis design in which the power supply and standby circuitry are housed in separate casework. Through its new design, the 2108 phono preamplifier is able to deliver 10dB of gain to low-output moving coil (MC) phono cartridges without adding to the noise floor. Also helping the performance of MC cartridges is a pair of RCA connectors on the rear panel that facilitate the use of external cartridge demagnetizers. 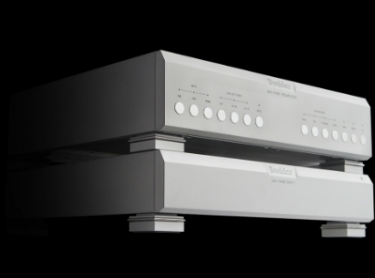 The company says the phono preamp also utilizes its proprietary 995 gain stage. Discretely integrated, it serves as an initial gain stage to help reduce noise and distortion. Boulder says the gain stage produces improved clarity and low-level information recovery. Additional design elements include a fully balanced, dual-mono construction with all of the 2108's inputs and outputs utilizing three-pin XLR connections, with all of the audio circuitry employing a dual-mono configuration for increased isolation of the left and right channels. The 2108 also offers three inputs per channel to support the connection of multiple turntables with customizable "personality cards" that can be tailored to meet the resistive and capacitive loading needs to match specific phono cartridges. In addition, the phono preamp is actuated with a logic system to eliminate internally radiated noise, and control options for a low-cut filter with high-pass cutoff points at a choice of 10Hz, 20Hz or Out, and selectable true mono for monaural recordings played with a stereo cartridge.